Rock climbing in Yosemite National Park? Yes, that’s the essence of Sarah Nicole Lemon’s newest novel, Valley Girls, and it has our little adventurous hearts oozing with joy. Determined to make up for her screw-up and create a stable new home for herself, Rilla charms her way into a tight-knit group of climbers. But Rilla can’t help but be seduced by experiences she couldn’t have imagined back home. She sets her sights on climbing El Capitan, one of the most challenging routes in Yosemite, and her summer becomes one harrowing and ecstatic experience after another: first climb, first fall two thousand feet in the air, first love. But becoming the person Rilla feels she was meant to be jeopardizes the reasons why she came to Yosemite—a bright new future and a second chance at sisterhood. When her family and her future are at odds, what will Rilla choose? Brave Rilla has been missing from our lives for too long—a young woman who isn’t afraid to take risks and climb higher and higher to reach her goals. 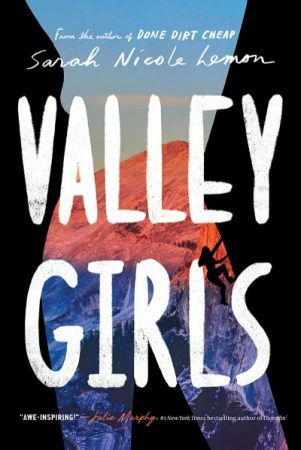 Valley Girls is sure to tap into your daredevil, nature-loving side as well.